Fitness isn’t just about a physical state; it’s about your overall wellness, realizing that we have one body and it doesn’t come with an old for new guarantee. With this in mind, take care of yourself day in day out and try to make healthy lifestyle choices 80% of the time. RECOGNIZE THE MIND : BODY CONNECTION I’m an avid believer in the mind : body connection. In fact, when participating in a big event, physical fitness will only take you so far and thereafter, it’s all down to your inner strength. A strong mind is also incredibly empowering; it gives you confidence and courage which leaks into every areas of your life. If you don’t mix up your training you will plateau and quickly get bored. Are you a runner? Crosstrain and go for a swim or join one of our Bootcamp Sessions for 5 wks so spice up your routine. by trying new classes or workouts regularly.Texas Fit Chicks Boot Camp incorporates both cardio and strength that will help condition your body in a short period of time. Motivation levels in the best of us go through peaks and troughs. To combat this, I think it’s important to set regular goals to work towards. Whether running your first 5k, committing to lose 10lbs or striving to master a new sport, set a goal and then work backwards to implement a plan to get you there. Visualize yourself where you want to be, then do what it takes to get you there. Only a small portion of your time is actually spent training so make sure you consider your non-training time as well. Treat yourself to massages, meditate, plan a girls night out… and sleep … only when sleeping does your body really get the chance to renew and repair. We are RESULTS oriented, and our female personal training team specializes in training women only. With over 1,000 women that have experienced our bootcamp program ~ we KNOW what works and your results are guaranteed! If you follow our free meal plan and attend 5 wks of bootcamp with us, you WILL lose weight/inches! Addison Texas Boot Camp with Texas Fit Chicks starts August 29! Addison Texas chicks! Texas Fit Chicks Bootcamp is so excited to now offer our newest boot camp for women only with our certified personal trainer, Sylvia. Bootcamp will meet on M,Tu,Th from 5:30am-6:30am in Addison. Get ready to change your body and meet other chicks with the same goal. 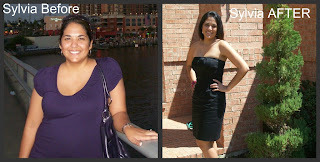 Sylvia is a fantastic trainer with a passion for helping women lose weight. Here's what some of our other chicks have to say about their experience with Texas Fit Chicks Bootcamp. "I joined Texas Fit Chicks about 5 weeks ago and I difiantly have seen great results! I have always been in shape, worked out but then I had two children and just never went back to my great body! After 5 weeks I can see my abs for the first time in 5 years! I was NOT over weight.. Just not in shape :) Working out three times a week with these wonderful women and trainers have been amazing! Yay for Boot Camp!!! :)" -- Chaning M.
"I joined Texas Fit Chicks in February 11', and haven't skipped a beat since. I had been working out with a personal trainer at my local gym, when I was given my first 5 week boot camp as a Christmas gift. All I can say is, I wish I had found TFC before I waisted that money on a personal trainer! With TFC you get both your cardio AND your strength training in one. It's the perfect amount of both, and I noticed a change in my body within the first week. There is accountability and tons of support within this family of women! I have had the opportunity to work out with 3 trainers who have also become great friends. I LOVE Texas Fit Chicks, and can't imagine ever stopping! I will NEVER push myself the way I'm pushed during these workouts! You can't go wrong!" Aimee S.
"I have been working out for only 2 week with Texas Fit Chicks Boot Camp in Plano! As a newbie, I have felt instantly welcome (and sore, I might add). The workouts are super fun and they change each one up so much that you don't EVER get bored. I would highly recommend getting up early to work out! I feel so much better all day after my work-outs! I can't wait to start seeing some awesome results!! I also really like working out with only girls! Takes all the pressure off!" - Amy S.
Allen Texas Fit Chicks Bootcamp *NEW* Evening camp starts this month! Allen Texas Bootcamp with Texas Fit Chicks now offers an evening camp option! Texas Fit Chicks Bootcamp is so excited to now offer 7pm boot camp for women only with our certified personal trainer, Katrina Erickson. Bootcamp will meet on M,Tu,Th from 7pm-8pm at Raintree Pediatrics. Get ready to change your body and meet other chicks with the same goal. Katrina is a fantastic trainer with a passion for helping women lose weight. Here's what some of our other chicks have to say about their experience with Texas Fit Chicks Bootcamp, plus a deal this week only that will make now the best time to become our next Fit Chick! Grab a friend and you both get 5 wks of Texas Fit Chicks bootcamp for $99 each! That's around $6/session with your trainer! Bootcamp includes free body comp before AND after your 5 wks, Free meal plan and Amazing accountability from your fit chick trainer. Check out and enter Promo code Allen7pm then APPLY to get $100 off your session! Before you know it, you wake up one morning and you're 5 lbs, 10 lbs, or 15 lbs heavier than you were a few months ago! Enough is enough. Now is the time to stop making excuses, to stop putting your fitness on hold, and to start working out. Texas Fit Chicks Bootcamp will give you affordable accountability and experienced personal trainers that will get you to your fitness goals! It could be that you're overweight and think you need to lose a few pounds before you start working out. So, you've decided that you're going to lose weight by dieting BEFORE you start an exercise program. You've even got a list of groceries to restock your fridge and pantry with and to start you on your way. I can't tell you how many times I've heard women say "I want to get fit before I start bootcamp!" That couldn't be further from the truth. Texas Fit Chicks Bootcamp GET our chicks in shape, and that's our job. Don't feel like you need to get fit before starting boot camp with us, that's OUR job! Exercise will cause you to crave healthier foods, encouraging a fit diet to come more naturally, and the pounds to melt off quicker! Our bootcamp workouts will inspire you to make good choices throughout the day. Maybe you're waiting around until you feel less exhausted and fatigued by work, family, and everything else that goes on. Chances are, you will ALWAYS have a ton of things going to that will zap up your energy! Decide right now to stop your excuses and take the first step. Our bootcamp trainers are ready to help you reach your personal fitness goals. Call or email Texas Fit Chicks Bootcamp today, and say goodbye to waiting until tomorrow! Texas fit Chicks Bootcamp has locations in McKinney, Frisco, Plano, Prosper, Richardson, Allen, Wylie, Anna, College Station and Houston Texas. We offer womens only bootcamp with nationally certified female personal trainers. All exercises are shown at beginner, intermediate and advanced fitness levels ~ so chicks of any fitness levels will get a great workout! Free meal plan to go along with your bootcamp and full body comp from your personal trainer. Anyone can attain a flat stomach if they know the rules that govern getting it. Yes there are flat stomach rules. Follow these rules and you will slowly but surely get the flat stomach that you may be yearning for. Doing something that is contrary to the flat stomach rules could result in your body holding to your belly fat tighter than ever. Belly fat is the last bastion of fat storage in the body and the body will fight tooth and nail before releasing it. If you ever try to go in battle against your body, you will surely lose. Work with your body rather than against it. Everyone wants a flat stomach fast. Advertisements on how you could get a flat stomach quickly, are all over the internet. When it comes to weight loss or getting a flat stomach, slow is fast and fast is slow. This follows the law of the farm where everything has a gestation period. Just like pregnancy takes 9 months, attaining a flat stomach too will take time. Give yourself the next 21 days with our belly blasting program to see results! There is no magical pill or equipment that can give you flat abs. You are going to have to pay for it. Payment would be in the form of sweat. If there was a quick fix or magical diet, Oprah would have found it by now. So stop looking for shortcuts. These rules are the shortcuts. Dieting is war against your body. Your body will win any dieting war. It will even go to the extent of causing you to regain all the weight that you have lost, once the diet is over. For this reason, any unhealthy or fad diets must be avoided. 100 crunches or even a thousand crunches will not get you great abs. You need to start exercising your big muscles so that it can help to remove the layers of fat on your body. In bootcamp, we focus on the entire core, which is more functional than 1000 crunches. Exercises that work the big muscles such as squats, lunges, push ups are excellent for removing the layers of body fat. Weight resistance training exercises are the most effective known for burning fat and boosting your metabolism. Interval training is far superior than conventional cardio training. Try doing 2 sessions of this in a week. Be cautious of the strain on the body from interval training and start gradually. This takes priority over steady state cardio. So you should find time for this first. If you are able to spare more than 3 hours of exercise time, you could do conventional cardio exercises such as jogging, cycling or swimming. This should only be done if you cannot handle the stress of interval training. Interval training is far superior to shed belly fat. Desserts, sweetened drinks, any sweet food or white flour should be avoided. Sweetened drinks pack lost of calories. Avoid drink that have lots of milk in it such as lattes. These too have lots of calories even though being low-fat. The calories come from the simple carbohydrates in the milk. Lactose in milk spikes insulin. It would be wise to stay away from milk until you have achieved your flat stomach goal. You should be able to get enough protein from your meals. If you need more protein, it could be obtained from protein shakes. Fat, sugar and alcohol taken in combination is detrimental to your flat stomach goals. Here is a detailed explanation of meal combination to avoid. Research has shown that people who skip breakfast store more abdominal fat. Skipping breakfast is a cardinal sin and should be avoided at all cost if you really want a flat stomach. You should be eating every 3 or 4 hours to rev up your metabolism. Do not take this opportunity to overeat. Your main meals should be small servings. Eat nuts or fruits for snacks. Lack of sleep results in elevated levels of cortisol which promotes abdominal fat storage. A lot of people exercise and eat healthy but compromise on sleep. They have an extremely tough time losing belly fat. Alcohol halts fat burning and increases appetite. Abstain from alcohol until your flat stomach goals are achieved. Read the earlier article for detailed information on alcohol’s effect on weight loss. An earlier article showed how a lot of people are disciplined on the weekdays but blow their diet on the weekends. Over consumption of food and drink causes a setback to a lot of people. Food with high calorie density have lots of calories in a small portion of food. These mainly include food with a combination of fat and sugar. One could easily overeat without realizing the overload of calories. Eat until you are 80% full. Do not eat until the food on the table or the food on the plate finishes. So many of our Texas Fit Chicks Bootcamp clients are heading out for one last summer vacation with the family! Lots of our Fit Chicks have asked us what they can do to avoid gaining weight while they are away. Since we all know that vacation means a break in your routine, and lots of rich food that we don't normally eat, it's very important to go in with a plan! Nobody wants to think about calorie counts of everything they eat while they're gone, so getting a great workout in first thing in the morning, will help! Tabata training is the perfect answer to getting in a great workout before the day begins. Tabata training means doing an exercise at full intensity for 20 seconds, then taking a 10 second break - and repeating the entire sequence 8 times through. It's a high intensity workout for 4 minutes, but, if done properly, is equivalent to 45 minutes of steady state cardio on a treadmill! Cardio exercises are perhaps the most important ones that one would do during a workout session on vacation. The reason is pretty simple. Cardio will keep the heart in better shape, help the circulatory system function better, thus delivering more oxygen and nutrients to the cells. Boot camp exercises are good cardio work outs but more importantly these exercises great for the cardio vascular system also help to burn the fat reserves ensuring that a person loses weight and builds muscles. Tabata training can be done with several options for highly intense work. The first tabata option is our boot camp cardio exercise, sprinting. Most people who have attended boot camp drills hear the term high intensity alternate training a lot of times. This is because sprinting is alternately done with slow jog and is a great work out for losing weight. Sprinting can also be made tougher by running up an incline or a hill. Other modifications of this exercise are stepping up and down to another spot which is about a foot higher than the ground. Sprinting helps the heart, the legs, and overall weight loss along with increasing stamina of our fit chicks! Another boot camp cardio exercise which is amazingly effective for weight loss too, is the squat thrust. This actually consists of a few steps. The first step is to squat and touch your hands to the ground. The next step is to jump and push your legs behind to a pushup position. The third step is to get back to the squatting position with hands and legs close together and hands touching the ground. The fourth step is to get back to the standing position. These 4 steps comprise a set and doing at least 10 sets could lead to some real calories expended! Tabatas with squat thrusts really WORK. The third cardio exercise is actually a modification of the second one. Burpees (yes, if you're a current Texas Fit Chick, you know just what these are) consist of a series of steps that can make our fit chicks sweat in no time. Burpees involve jumping as high as possible and then landing in a squat position with hands and legs together and the hands touching the ground. This is immediately followed by pushing the legs back to a pushup position. After this you need to get back to the squat position, jump up and then land in the standing position that you had initially started with. Tabata burpees always get a moan from our chicks that have been in bootcamp with us for any time...but they WORK! The fourth cardio exercise is a modification of jogging but slightly more difficult. It is known as high knee drill and involves raising the knee to the height of the chest and then placing the foot forward. This is alternately done for both the legs as one jogs ahead. High Knee burpee tabatas are great when you don't have a lot of room to get your workout done - hotel rooms especially! The fifth boot camp cardio exercise is the slow pushup which involves doing 4 pushups at a stretch and then on the fifth push up going half down and holding for a few seconds. Repeating this for a few sets is very beneficial. All the above exercises not only help the cardio vascular system but also help in weight loss. Free Trainer Tips on FACEBOOK - Plus you could win FREE bootcamp! !